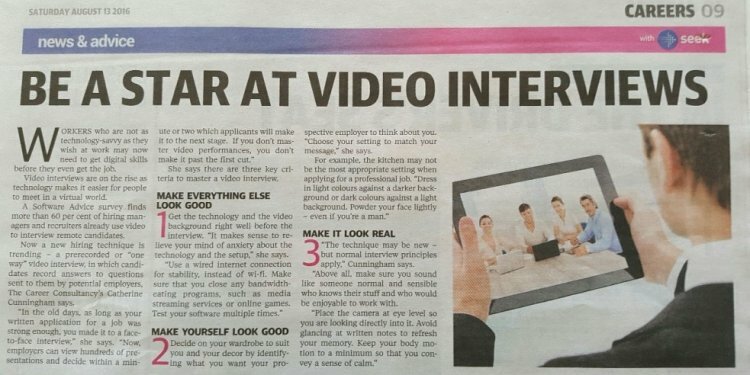 As more employers embrace video and Web-based technologies to conduct screening interviews with prospective job candidates, it becomes increasingly important for you to be prepared as you begin your job-search. 1. Determine the Best Hardware to Use. If you’re lucky enough to have multiple devices (such as a computer, tablet, smart phone), choose the one you are most comfortable with — and the one with the most reliable technology. If necessary, invest in purchasing — or borrowing — the best technology to use for the interview.